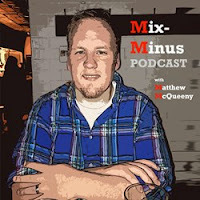 Mix-Minus Podcast | Matthew McQueeny: What Will be Lawrence Frank's Fate? What Will be Lawrence Frank's Fate? The recent Lawrence Frank stuff has been interesting in the way sports can turn tides in a second. Like Frank always says - when talking about Basketball - "things can go from bad to good, and good to bad very quickly." It appears that this has happened. Going into this season, it seemed that everyone (quietly) would have signed up for how it played out: overall very promising development for the youngsters, Devin Harris burgeoned into a star, veterans played their roles, an honest assessment of mid-30s wins. But things seem to have turned. A lot of the rumblings coming out of the dailies about Frank are that the team's business end would probably love a more "marketable" coach. That is a double-edged sword, because a marketable coach is not necessarily all good for the marketers, particularly how marketing is defined at the Nets. Pat Riley (not a candidate here, just for example) is/was a marketable coach, with the slicked back hair, the great suits, etc. But, try to sneak a sponsor onto a team charter, try to put a non-basketball team employee even on the travel manifest, and you will be rudely awakened. Frank allows this stuff to happen. He is a very good man, earnest, and strategically very well-schooled and thought out. And he plays along with the at times over-the-top access allowed to sponsors, businesses, and season ticket holders. It is part of his bargain with being the Head Coach of a NBA team - his local NBA team, nonetheless - at a young age. Any coach that you might talk about bringing in over him, because they would have to be pretty big time to be marketable as well as worth the expense of paying Frank good money concurrently, is not going to sign off on this stuff coming in the door at 390 Murray Hill. The business side needs to watch out for that bargain. Which leads me to my initial worry at hand for Frank. With Rod Thorn not giving an official nod of approval at this point, it means there is certainly back-and-forth going on in his mind. And whether the "marketers" want a new coach or not, Thorn's stated reason for ruminating is strictly basketball-based and reasoned: are the players still listening to the "voice" of the coach? That is a dagger to even put out there, one that the players will hear loud and clear. For a lame-duck contracted coach, that can be as good as a death knell. It was also a little of shock in reading that Frank at this point, through 450 games, is 225-225, .500. That is a big sample size, 5 1/2 seasons in a profession where the buzzards come hunting after the first sign of blood. Whatever the expectations coming in, most everyone has short memories. When the slate is wiped clean what you are left with is a coach who succeeded quite well early on and seems to be in a downward trend in a league where "things can go from bad to good and good to bad very quickly."